» Yantras and MahaYantras » What are Pyramids? 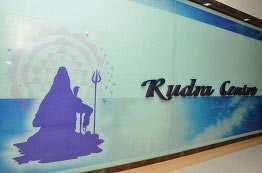 Rudra Centre offers a wide range of energized Pyramids. Before you buy a pyramid online, find out its types, uses, benefits and placements. Whenever you see a pyramid, the first thing that comes to your mind is Egypt. True it is, Egypt which has one of the oldest ancient monuments called the Pyramids, masonry structures. But there must be a mystery behind these pyramids of Egypt, which also symbolizes the ascension of Pharaohs (kings) to the Heavens. Pyramid plays an essential role in Vastu Shastra. 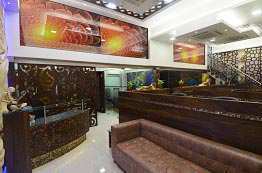 Vastu Shastra is India’s ancient science of architecture which focuses on the construction of a structure in line with Vastu principles, so as to attract maximum positive energies of the Cosmos. Positive energy feeds every living being on earth to lead a purposeful life, while negative energies counteract the purpose. Pyramid harmonizes different energies and makes the place, where it is installed, spiritually warm. Pyramids are energized pieces of mysticism which drives away the negative energies and neutralize the place. That is why it is believed, dead bodies were buried inside the pyramids so that the body wouldn’t decompose, signifying the power of those pyramids that would shield the dead body against natural decomposition. Why the domes of temples are in pyramid shape? Temple architecture is based on pyramidal design. All the rituals in the temples are aimed at reforming the human psyche and transforming individual perception into universal conscience. The Sky element of creation is reshaped in temple architecture through pyramids so as to transform the sound into the mandalas. The echo of this rhythmic elemental sound of mantras and prayers is taken by the Air element to the Sky. What is the scientific aspect of Pyramid? Known since ancient times, Pyramid is a powerful symbol that connects with the energy forces. The Egyptians observed the pyramid as a spiritual symbol because it drives the electromagnetic energy around the earth. In philosophical studies, its structure with the four sloping sides releases the cosmic energy, which counteracts negative energy. One of its chief functions is to eliminate or recycle stagnated negative energies.Research studies have shown that pyramid vibrations impact the mental, physical and emotional aspects of individuals. Keeping the pyramids in the four corners of a Place, revitalizes the energy flow. It improves the aura of an individual, too. Known since ancient times, Pyramid is a powerful symbol that connects with the energy forces. The Egyptians observed the pyramid as a spiritual symbol because it drives the electromagnetic energy around the earth. In philosophical studies, its structure with the four sloping sides releases the cosmic energy, which counteracts negative energy. One of its chief functions is to eliminate or recycle stagnated negative energies. Research studies have shown that pyramid vibrations impact the mental, physical and emotional aspects of individuals. Keeping the pyramids in the four corners of a Place, revitalizes the energy flow. It improves the aura of an individual, too. Pyramid acts like an antenna, attracting geological, organic and cosmic energy particles inside and around a structure. The word pyramid contains the Greek words, pyra (pyramis) meaning the fire and mid meaning the core center. Pyramids harmonize the mind, body and soul with the cosmos, by just keeping them at appropriate locations: to attain health, happiness and prosperity. Pyramids create a finer balance and harmony by correcting the energy defects, without any physical / structural alteration, or shifting of any items, be at home or workplace. The negative Energy force at your residence or workplace may drain you, physically or mentally. This may cause exhaustion and tension, disproportionate to our activity and situations. People at times become prone to anger and irritations, leading to indecisions or wrong decisions in life. They would neither enjoy life nor be at peace, despite having all the material comforts of life viz house, kids, money, social reputation etc. By placing a right pyramid at the appropriate direction, the energy of your residence / workplace gets supercharged. 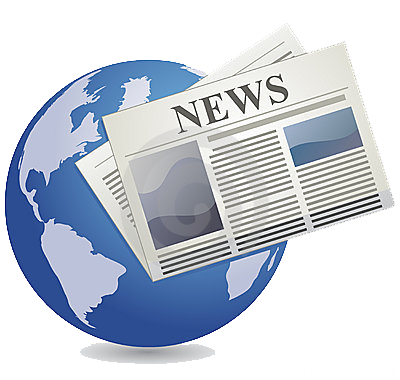 As a result, you will have surplus of energies, which can be used to meet the daily demands of life. It includes pyramids made of copper and brass in varieties such as Plain, Multi-layered, 81-Pyramid Plate, 9-Pyramind Plate, Pyramid with Hollow Base and more. 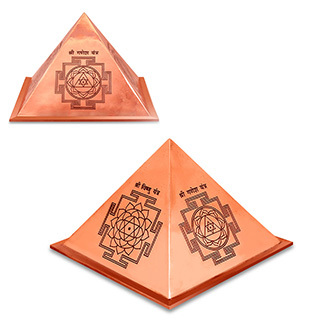 Copper / Brass pyramids with the accurate internal as well as external angles make them a huge store of positivity and divine powers, compared to the commonly available variants of plastic or fibre. It includes powerful pyramids made of pure 100% medicated parad (mercury) in two sizes. A Parad Pyramid generates powerful vibrations to purify and enhance the aura of the place where it is kept. It is best for inviting good luck, harmony and increasing concentration levels. It neutralizes negative energies, present in the atmosphere. 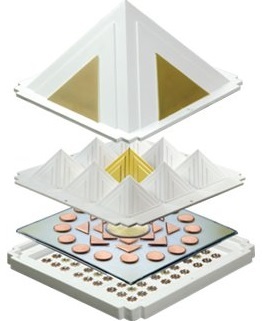 It features the combined powers of energized Pyramid, made of copper and Yantras etched on its sides. 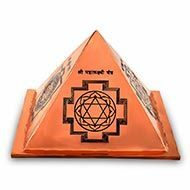 It includes yantras of specific deities, inscribed on each side of the pure copper pyramids and come in variants Wisdom Yantra Pyramid, Vastu Yantra Pyramid, Navgraha Yantra Pyramid, Protection Yantra Pyramid and Prosperity Yantra Pyramid. Pyramids are made of natural gemstones provide dual effect of gemstone vibration and also of the pyramid. 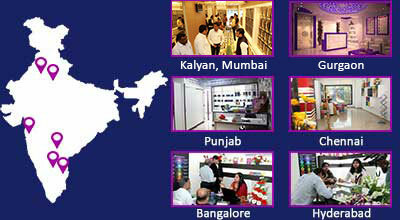 We have pyramids in sphatik, rose quartz, yellow jade, lapiz lazuli and several other gemstone varieties. 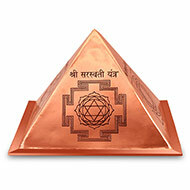 Gemstone Chakra Vastu Pyramids feature powerful energy symbols in pure brass with gold artwork. These pyramids harmonize mental and physical energies. 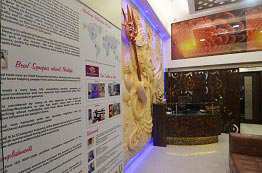 The pyramids are made of natural gemstones and prepared as per Vastu principles. It includes pyramids made of terracotta (earthenware) which are highly effective in generating positive energies to any location and removing Vastu defects. 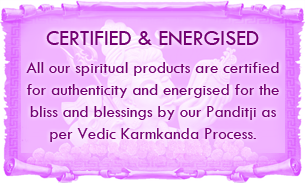 It generates fire (vital source of life) in middle and energises the surface it is placed on. It includes Earthen Multi-Layer pyramid, Earthen Pyramid, Earthen 81-Pyramid Plate and Earthen 9 Pyramid Plate. Brings harmony in your relationships. Brings harmony between the mind, the body and the soul. Where to keep Pyramid at your place? When kept in the North East corner, a sense of wellbeing is felt by all the members of the family. When kept in the South West corner, in the bedroom it ensures sound sleep and you feel fresh and lively in the morning. Housewives feeling tired and restless should keep one in the South East corner of the kitchen to become more energetic. Use it in children’s study room, for more concentration in their studies and improve academic performance. 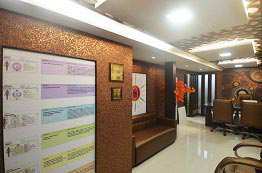 Keep it in your office cabin, in the South West corner, for smooth running of the business. If a person in the family is ill, keep a pyramid near his bed, on the South West corner, for a speedy recovery. If you feel someone has performed black magic on you, bury four such pyramids in the four corners of the house. If you are living in an apartment or on the upper floors, then keep the pyramids in the four corners of the house. Childless couple aspiring for a baby may keep a pyramid, on the North East corner of their Bedroom, on the floor. If you are having litigation issues, bury a pyramid on the North West (West) corner of your house. If you live in an apartment, keep a pot filled with sand and bury the pyramid in it and place this pot in the North West (West) corner of your house. If there’s discord in marriage, place pyramids in North West and South East corner of the bedroom. The pyramids be buried in the sand filled pots, and placed accordingly. If you are finding it difficult to sell your property, bury a pyramid in the North West corner of the house / plot.